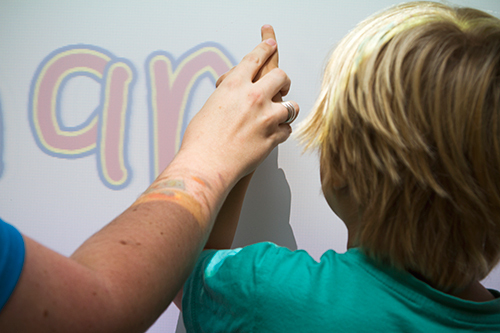 The ‘Sharks’ Room is our Queensland Government Accredited Kindergarten Program and provides the perfect starting point for preparing your child for school. 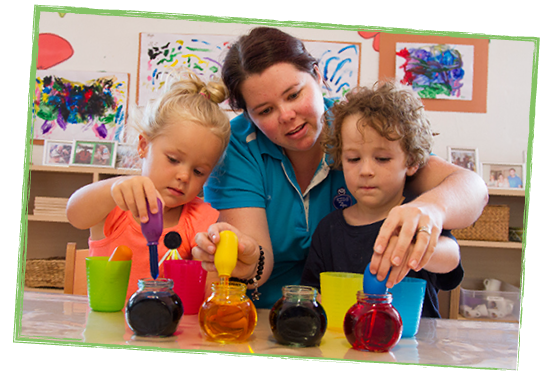 Kindergarten or ‘Kindy’ refers to an educational program for four-year-olds in the year before they begin Prep. Typically children need to be at least four years old by June 30 in the year they attend Kindergarten. 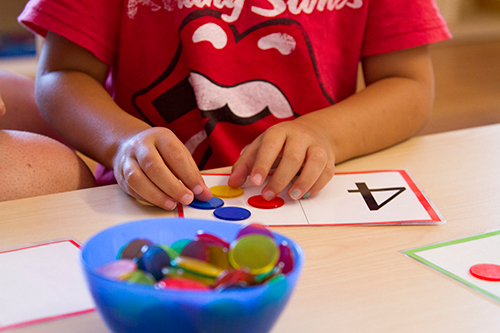 The Shark’s Kindergarten Program promotes active learning through play, real-life experiences, routines and transitions. The program is continually evolving around the children’s interests, strengths, ideas and abilities. Our play-based program is carefully planned and organised to promote learning and prepare children for Prep. As part of the preparation for school, our Kindergarten Program focuses on developing children’s social and emotional skills, so that they feel personally confident and secure when making the transition to school. There are also some practical developmental skills that we focus on building throughout the year, such as self-help skills, concentration, following instructions, independence and responsibility for belongings. During the year each child’s progress is monitored, documented and assessed. At the end of the year, families are provided with a Transition Statement that summarises each child’s learning in Kindergarten. These statements include information from the Kindergarten teacher, the child and each family, that can be passed onto Prep teachers to aid children’s transition to school.